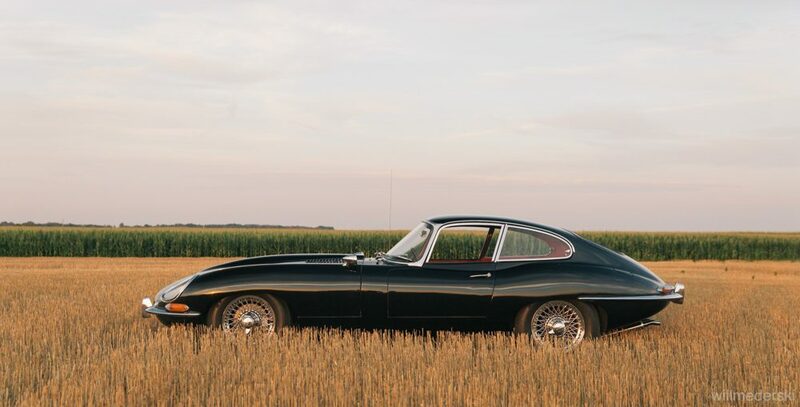 From the time he first saw it’s lengthy elegance as a kid, to decades later fully appreciating what lies beneath that long bonnet, this is the story of my father’s hunt for just the right Jaguar. 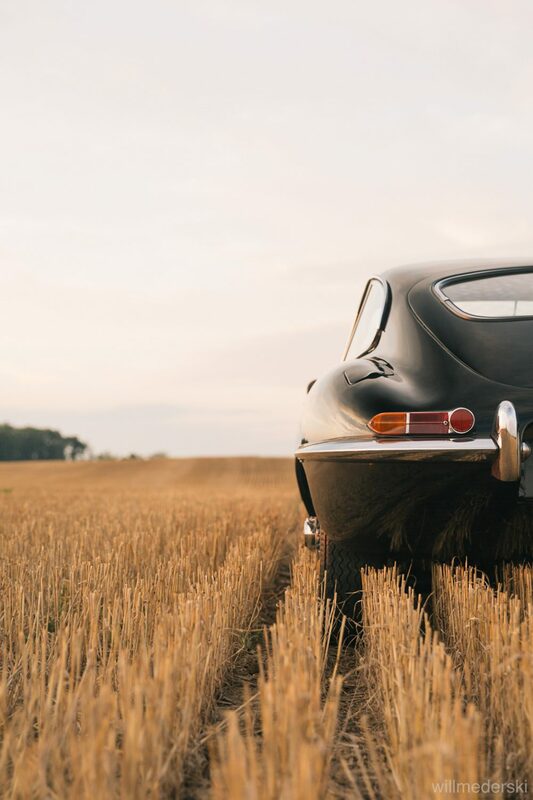 Their beauty is undeniable, but it was the quirks and remnants of a handmade heritage that had him settling on an early example of the famous E-Type. 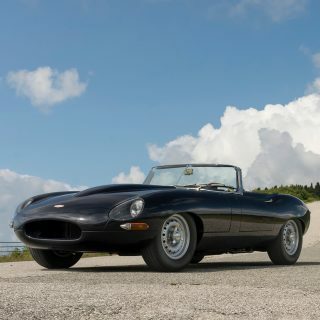 Will Mederski: So did you set out in search of any old sports car, or did something drive you towards the Jaguar E-Type? Mark Mederski: In 1962 when I was about 13 years old, my dad took my brother and me to the Cleveland Auto Show. There are only two images that have stuck with me from that experience; we saw then-popular TV comedian Sid Caesar outside the show, and we were all stunned by the several Jaguar XKEs, as they were then referred to, on display inside the show. As a kid I built plastic models of E-Types, built D-Types and E-Types as slot car racers, and studied all of my dad’s Road & Track magazines. The sleeker of the two E-Type body styles, I always liked the look of the coupe. Years later, as an industrial design student, my general love of the form began to develop some reason, some foundation. And it was much later still that I learned that under the sleek sheet metal was an interesting and very technical chassis. MM: Well, yes, technical and also simply interesting. When I first saw under the bonnet of an E-Type, I was impressed with the unusual construction. A rectangular tube sub-frame cradles a handsome double-overhead cam, inline six-cylinder engine. Polished cam covers, three shiny S.U. carbs, electric tachometer drive, sheet metal ducting air to the radiator, an electric fan. Forged A-arms, no springs but rather adjustable torsion bars, support the front end. Stopped by discs front and rear. The rear discs are in-board, tucked right up against the differential. From the firewall back is a sheet metal tub, a unibody of sorts. The high sills, an obstacle to easy entry and exit, are part of the structure. It’s real sports car; hard parts in there, a design very similar to the D-Type racer which came a few years before. WM: But why an E-Type and not a Porsche 356, an Austin-Healey 3000 or TR4? MM: To me, the E-Type was a much more interesting machine than a Healey, or a Porsche flat-four of the era. My dad really wanted an Austin-Healey 100-6 or 3000. 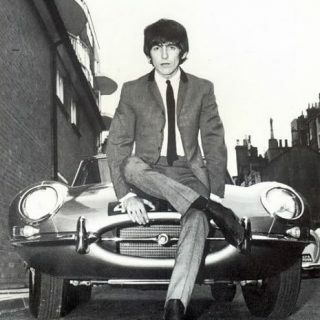 Part of the reason I wanted an old British car was he never got to own one. I will piss off some owners, but while Austin-Healeys are one of the best styled cars ever, they offer only a simple OHV engine. 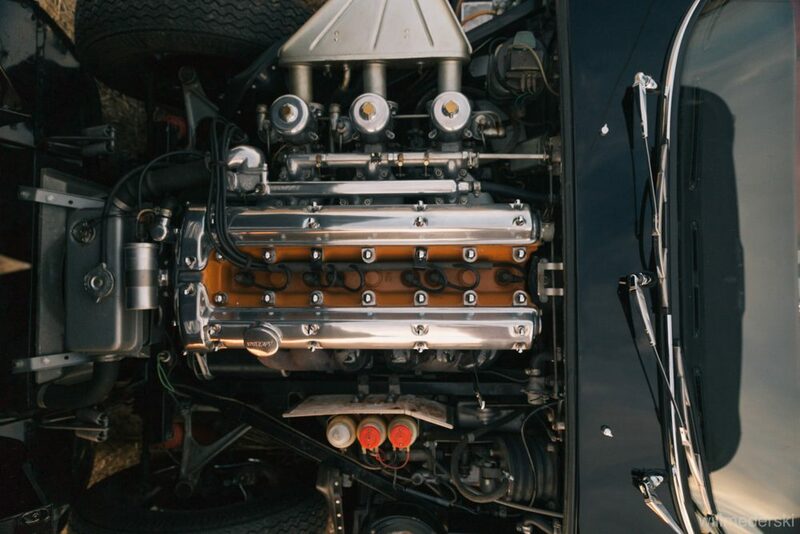 The Healey 100-6 and 3000 are at about 100 horsepower, have a somewhat unrefined chassis and pretty flimsy coachwork. 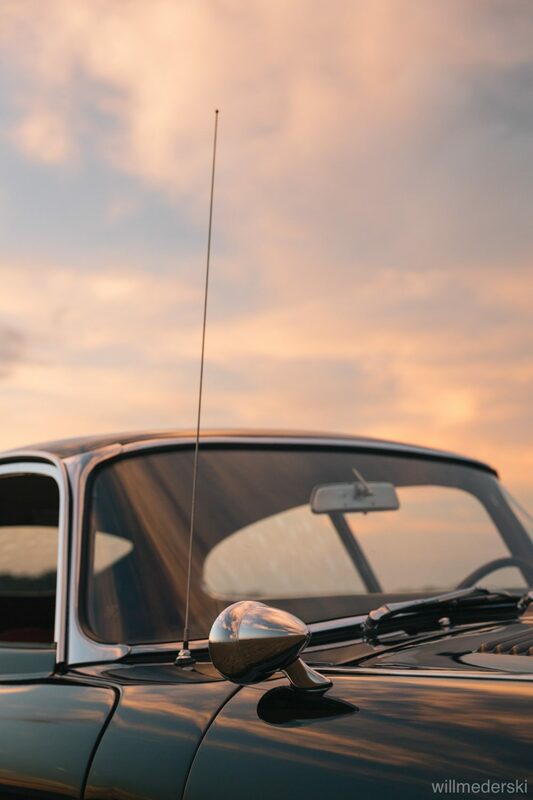 The average Porsche 356, while light, produces no more than 100 horsepower from it’s 1600cc engine. 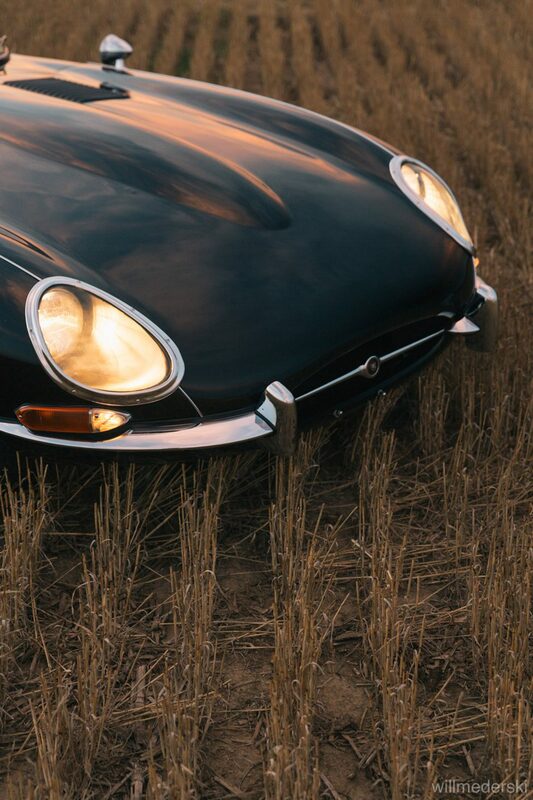 But the 3800cc E-Type Series 1 is rated at 265 horsepower. 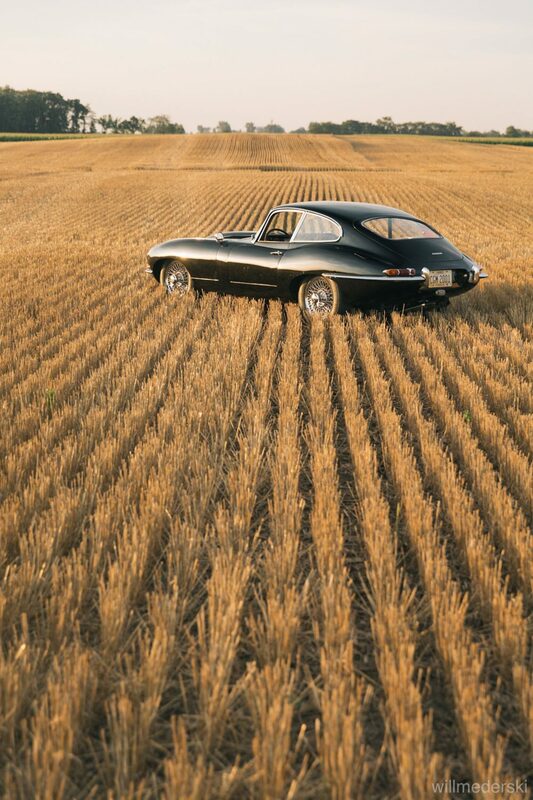 Though I would never think of doing it, the Jaguar E-Type tops out at 145 mph. Hyper-speed in its day. The Healey and Porsche would top out around 100, maybe 110. There’s a reason Jan & Dean wrote a song about the Corvette vs Jaguar battle; American sports car guys in the ’60s loved their Corvettes but knew XKEs were formidable competition on the street and road course. And so pretty, Enzo Ferrari himself praised it! They’ve even got an E-Type on display in the Museum of Modern Art. WM: How did you go about finding the right car? MM: When I first started to focus on an E-Type, joining the Jaguar Club of North America and subscribing to Hemmings came first. Going to various concours and car shows across the country allowed me to talk with owners, learn distinctions within the seven year run of the Series I covered-headlight models, look at where they rust; very important. And I bought about four books to start studying the car. More than a year of searching went by, then out of the blue a guy in the Jaguar club told me about a Porsche collector not far from me that had a black 1961 coupe and a yellow 1967 coupe parked in a warehouse, so I went to look at them. Pale yellow is not a performance car color to me, so I dismissed the yellow car, but was excited about what ended up being a first year black coupe. “Take it to a shop to have it looked over,” the owner offered. Fully restored about 12 years earlier but having sat for a few years, it went to Specialty Sports Car on a rollback. They know these cars. This car turned out to have a very solid body, correct colors, matching engine, transmission and body numbers, and though the drive line was a bit worn, it would be plenty drivable at about 57,000 miles, just needed fluids gone through, a tune-up and a good scrub to be a great driver. WM: So it was love at first sight? You knew you wanted an early one, but what else about this specific example had you pulling the trigger after such a long search? MM: Regarding color I had made up my mind, passed on a Primrose Yellow car for obvious reasons. I hoped for black, dark green, or red, maybe gray or even white. 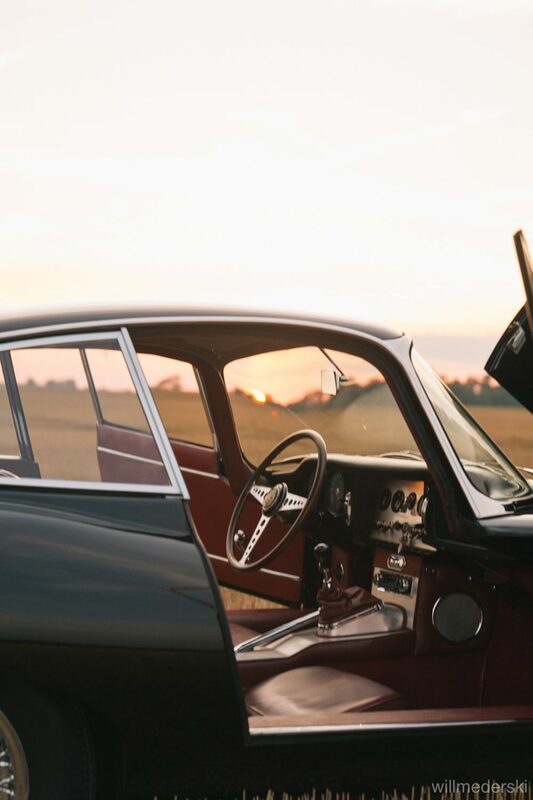 As it turned out the 1961 car was shiny black lacquer with red interior and had a few bonus points; it was an early production car, the 130th left-hand drive coupe manufactured. 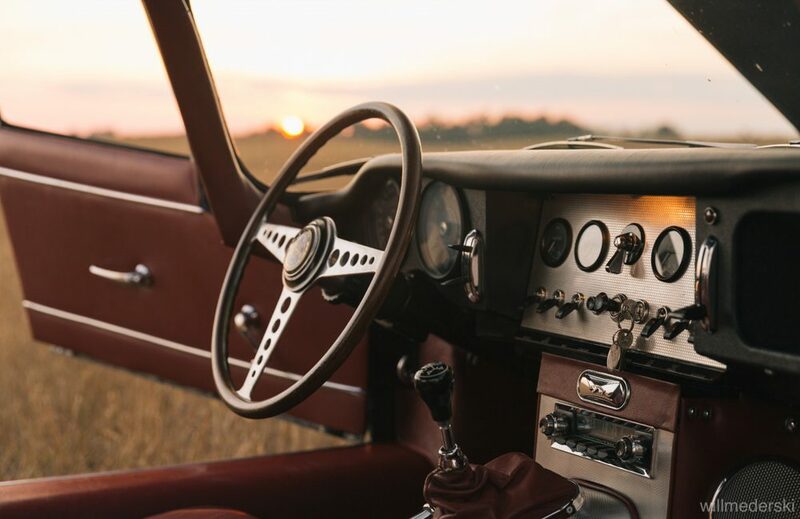 The interior of these early cars was a bit more spartan compared to the luxury features and style added to later models, mostly to appease a growing American market. And under the hood was the fabled ‘pumpkin head’ engine; a soft orange paint on the cylinder head, before metallic gold became the typical engine paint. The early cars also had welded louvers and flat floors. Mine even has vestiges of the anchor points for the outside bonnet latches which the E-Type was originally designed with, but Jaguar eliminated not long after production began in May of 1961. I like this; the car shows the signs of being kind of handmade, prototypic. Jaguar engineers had not yet settled on certain details and my car has details not found on later cars. This is what’s interesting to me. It was an insight into the process of designing and building this car, it’s evolution over seven model years, all this fed the gearhead in me. 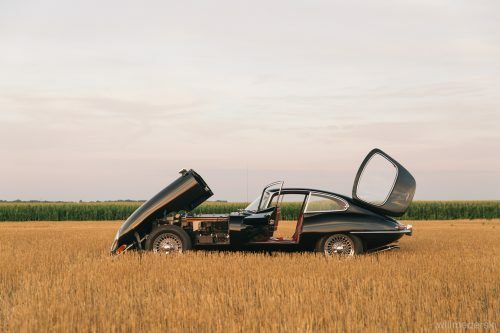 WM: What were some of the other things you learned to look out for on E-Types? MM: Well, I learned about the early cars, the cool little details like the flat floors, welded in louvers, by reading and looking at about 25 cars and talking with their owners. 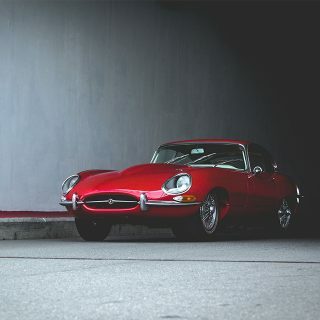 I learned that even back around the year 2000 a good Jag restoration, parts and labor could be north of $75,000 (well over $100,000 today) which might be worthwhile if you bought a roadster; typically they are worth about 50% more than coupes. I’m always wary of rusty cars and bodywork, so I was holding out for an original unrestored car or a never rusted, well restored example that was pretty much ready to drive… at least one that did not need body work, paint or an interior. That’s where you run into big money trying to right. WM: And now that you own your own, what have you added to your knowledge of the E-Type? 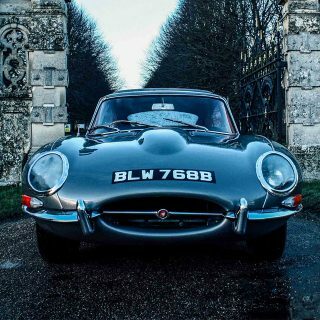 MM: After sticking with a great vintage sports car shop here in Columbus, Specialty Sports Car, I have learned that an old Jaguar is a fairly resilient machine, if it hasn’t been abused. I’ve had the car more than 15 years and definitely dumped some big money into it to restore its drive train, but it’s so worth it and is now very tight mechanically. Eight years ago a complete engine rebuild and transmission sealing/re-bushing was almost $10,000, and after the complicated rear end began leaking oil on the inboard brake rotors, that independent rear suspension subframe came out and was completely cleaned, rebuilt and repainted. Later I added a stainless exhaust system. I make about half a dozen 100-mile joy rides through the countryside each year and have had only the clutch slave cylinder fail on me about 20 miles from home. My fault as the hydraulic fluid was obviously leaking into the left footwell for months! WM: I’ll always remember the first time you let me drive it. I was instantly impressed with the handling. And plenty of power. What about the car still thrills you? MM: The E-Type and any of the other German, British, or Italian sports cars can make you happy for a long time if you take the time to buy the right car. Most are what I call “involving;” unlike a Camry, you need to know certain things to operate these cars. Chokes, enricheners, starter buttons, odd switch controls, non-synchro first gear trannies along with less than powerful brakes call for some training, practice and planning out on the road. These old cars, well, youʼre in conversation with them as soon as you open the door and get set to start the engine and go for a drive. They don’t suffer fools, and that’s what I seek. I have my Honda Odyssey when I need to haul some lumber or have to rent a Roto-Tiller. Special thanks to Will Mederski for chatting with his dad about the whole backstory regarding his early Jaguar E-Type. 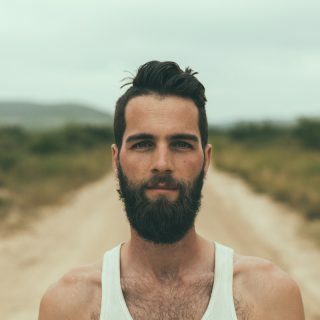 You can follow Will’s work at his website online, on Instagram and Facebook. I had two of these. A brand new ’65 4.2, also a black/tan coupe (brand new), and a Mk2 ’68 tan roadster. I traded the new 65 in less than two months for the 1st 427 Cobra on the East coast to own the fastest car on Long Island (and it was)! The 68 was a lovely roadster and since I was living in CA by then, (1970) I could drive it almost anytime and I did for almost two years. Great story and wonderful photos! 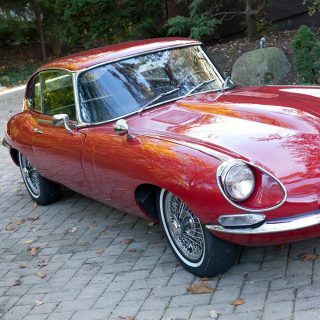 I want an E Type! Thought I recognized that vehicle? Great to see your write up too Will. 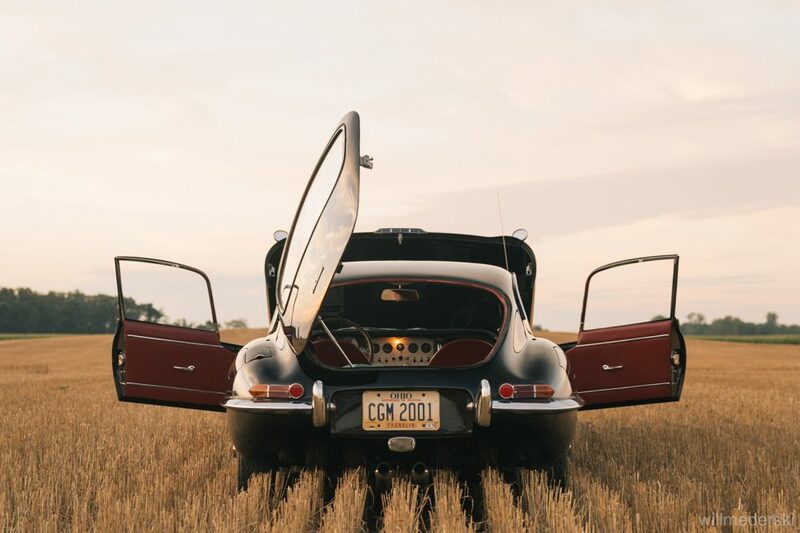 Time for an E Type road trip ? My dad used to ferry cars for a used car dealer in the late sixties. He had the chance to drive one that had been vandalized, someone had cut up the interior. The rest of the car was perfect he said. It was the only car my father ever spoke of with any type of reverence. Dad was not a car guy. When I finally got to see one I could see why Dad liked it so much. Sadly its a bit out of reach. Thank you for sharing this story. Gorgeous car.